Calling animals to bring them in closer is a tactic that has been used by thousands of hunters. And there is no doubt that it is a very effective way of attracting game. Unfortunately, if not done correctly, calling can hurt a hunter, it can spook game, or it can cause an animal to avoid the area all together. 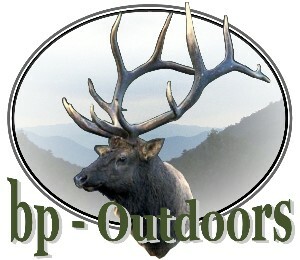 Calling game, whether it is turkey, waterfowl, elk, deer, or even coyotes, is not a hard thing to learn or do. In fact most hunters do not scare game because they are making the wrong sounds, but that they are making the sounds too fast, too much, or at the wrong time. You do not have to be able to make a perfect turkey yelp to call in a turkey, nor do you have to have the best turkey call. As you may already know, some hens you hear sound terrible. So you have to know the right time to call and how much calling you need to do. The easiest way to learn this is to get out in the woods and listen to the turkeys. Listen to the sounds they make, how they respond to one another. You will notice that in the spring a hen will not make a series of 20 fast yelps; she will make short series of 3 or 4 yelps, or a longer slow series. So if a hunter is in the woods yelping for a long time, and yelping fast, it will sound unnatural and spook the birds. come. Make a few calls every few minutes. He doesn't have to be gobbling every minute to be coming in, some birds only gobble once or twice before coming in, and some don't gobble at all. Even when you know how and when to call, some turkeys do not respond. You may be the best caller in the world and know exactly where the turkeys are, but when you call you get no response. What is the problem? Are you calling wrong? Not necessarily, the problem may not be in your calling, but in your call. It is important to bring more than one type of call into the woods. There is no magical call that will bring in every bird. I like to carry a few different types of calls into the woods. That way if the birds aren't responding to one, I can try another, and another, and another. This is especially important when hunting birds that have been called at allot. An example of this is a time that I was hunting in South Dakota. We knew there were turkeys there but we could not get them to respond. I tried a mouth call, nothing. A slate, nothing. A box call, still nothing. Finally I pulled out my Quaker Boy Easy Yelper. I yelped, and immediately I had two gobblers responding, they came right in to the soft sounds of my Easy Yelper. It doesn't matter what call you use, the turkeys will respond to what they want to hear. If you are not getting responses out of one call, try another, they all sound like turkeys, and you may be surprised at your results. When you are in the woods and having trouble getting a bird in, don't be afraid to experiment a little and give the turkeys something they haven't heard or something that will get their attention. 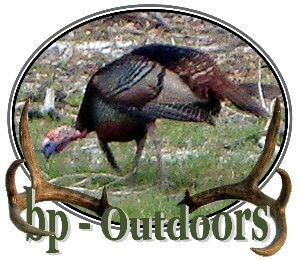 High frequency calls are very popular now because turkeys respond so well to them. This is because the high-pitched sounds they make catch a gobbler by surprise, making him gobble. Which makes them a very good locater call. Just because they cause gobblers to gobble more does not mean that he is going to come in faster or come in at all, but they do get the birds attention. I like to mix a high frequency calling in with my other calling to create a variety in my calling. The more different sounds you can make the better illusion you can create that there is a flock of hens. Mixing a mouth call with a box or a slate has proven to be very effective. Sometimes no matter how many calls you try, the turkeys just won't respond. In this situation try anything, it can't hurt. One call I like to use as a last resort is a turkey fight. It doesn't work every time but it has worked many times. I like to useEasy Yelpers mixed with a mouth call, but any loud call you can purr on will work. Make aggressive purrs, cutts, yelps, scratch in the leaves, even gobble if you can. Then just stop and listen. Sometimes this is too much for a bird's curiosity, and he comes in to check out the commotion. Like I said this doesn't work every time, but it can't hurt, the turkeys aren't responding anyway. Being a successful turkey caller doesn't require much, a little practice and knowing when and how much to call. No call works every time, and there is no brand or type of call that is better than the others. No one, not even the pros, can bring a turkey in every time they call. But by listening to the turkeys, not calling too much, and using a variety of calls, you will find that the birds respond better, and you will get more gobblers in your sights.